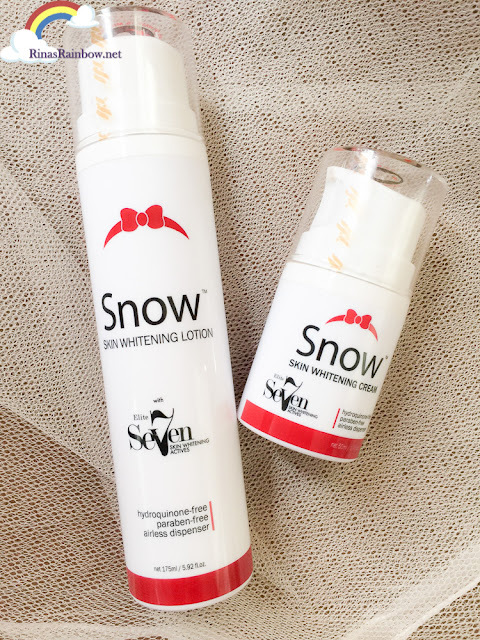 Rina's Rainbow: What Makes Snow Skin Whitening Lotion and Cream Special? What Makes Snow Skin Whitening Lotion and Cream Special? I'm approaching mid 30s. Ugh. And I have to admit I'm scared of growing old. Getting wrinkles. You name it. That's why I take advantage of using products that I feel could help my skin. And I don't exactly have the best skin, as I've said time and time again. Heck I even use a beauty app sometimes just to be able to post a certain selfie. And in today's generation, we're lucky to have products easily available to us that have certain elements that help keep our skin healthy and young looking. Thanks to Vida Nutriscience for constantly coming up with products that keep up with our skin needs. 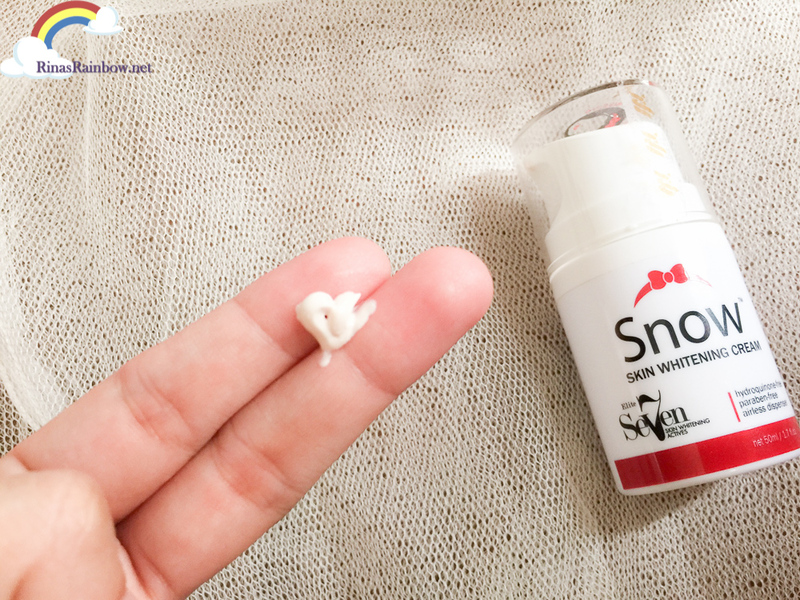 After SnowCaps, MySlim, and Snow Whitening Soap, comes Snow Skin Whitening Lotion and cream! It's got 7 actives that makes it so special. See how! All these 7 Elite Skin Whitening Actives are clinically proven to help whiten skin and also to help your skin look younger. 1. IBR TCLC ( Colorless Carotenoids ) - This is extract from tomatoes. It has a unique instant redness reduction, it has a lightening effect, it is anti oxidation, and anti inflammatory. 2. IBR SnowFlakes - This is clinically proven to smoothen the skin, reduce wrinkles, and slows down skin ageing. 3. AlpaFlor GigaWhite - This is a skin lightener developed from Alpine plants. It helps brighten skin and makes skin tone even. It also reduces the color intensity of age spots. 4. Melfade ( Bearberry Extract ) - a solution of highly purified natural arbutin extracted from bearberry leaves (Arctostaphylos uva-ursi) and a vitamin C derivative for skin care application.This helps lighten skin gently. 5. Alpha Arbutin - extracted from the bearberry plant, it inhibits tyrosinase which prevents the melanin formation. 6. Beta Glucan ( SymGlucan ) - This is an oat extract that is used to penetrate intact human skin and help reduce the visible signs of aging. It gives moisture and comfort that improves firmness and elasticity of skin. It also protects skin cells against UV radiation. Plus, it also stimulates fibroblast growth and collagen synthesis. 7. Phenylethyl Resorcinol ( SymWhite 377 ) - Scientifically proven to brighten skin, and it's also a powerful anti-oxidant. This is why you know that Snow Whitening Cream and Lotion is serious. It actually contains a high percentage of concentration of these 7 ingredients. Other products use very little percent only, and mix it with cheaper whitening actives like Kojic Acid or papaine. 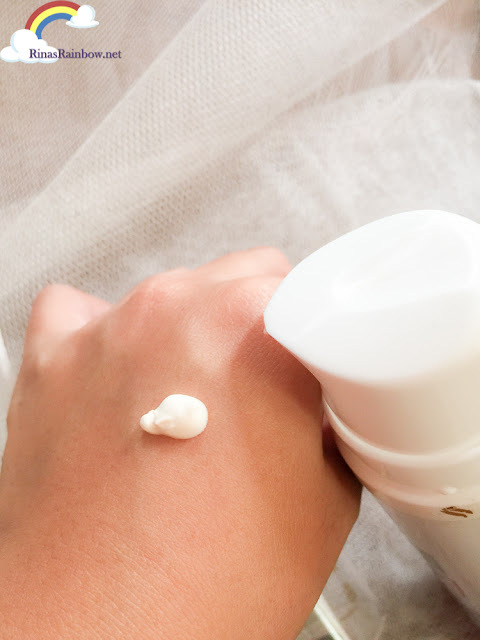 Other manufacturers only use 0.01% of Alpha Arbutin (a very expensive but very effective whitening agent) white Snow Skin Whitening Lotion / Cream uses 2% which is the recommended % for whitening effect. ...while the cream is for the face. I use both at night after washing and toning. The busy lifestyle of us keeps ourselves outdoor for most part of the day and continuously exposes our beautiful skin to the blazing sun rays.